Give A One-of-a-Kind Gift - Grace Portraits! This post is brought to you by Grace Portraits. All opinions are mine! It is definitely the season for gift giving! Between weddings, graduations, Mother's Day, Father's Day, anniversaries and birthdays, my head is spinning lately with what to get who and when! That is until I was introduced to Grace Portraits! I now have the perfect gift idea for any occasion and I am SO EXCITED TO tell you about it! 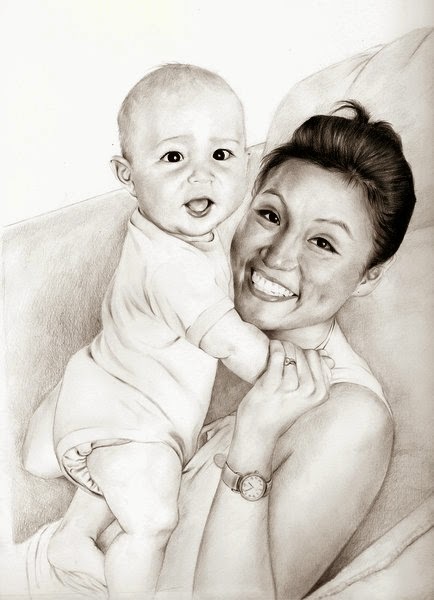 Grace Portraits creates custom, commissioned portraits, hand­drawn by California Bay Area artists from your favorite photographs. Isn't that the coolest thing ever??!!! Grace Portraits are uniquely powerful gifts that help you celebrate the most important people and occasions in your life. You can immortalize a memory of your family by turning a photograph into a hand­drawn piece of art that will last forever. Grace Portraits become heirlooms that you will pass down through generations. The instant I saw what Grace Portraits does with pictures, I immediately thought of a bunch of different favorite pictures that I would LOVE to have handdrawn into a portrait. My children's favorite baby pictures, my favorite wedding picture of me and my husband and our family photo were just a few that popped into my head! They would look so beautiful and artistic in any room in our house and I would love to tell people that someone ACTUALLY DREW THAT!!! 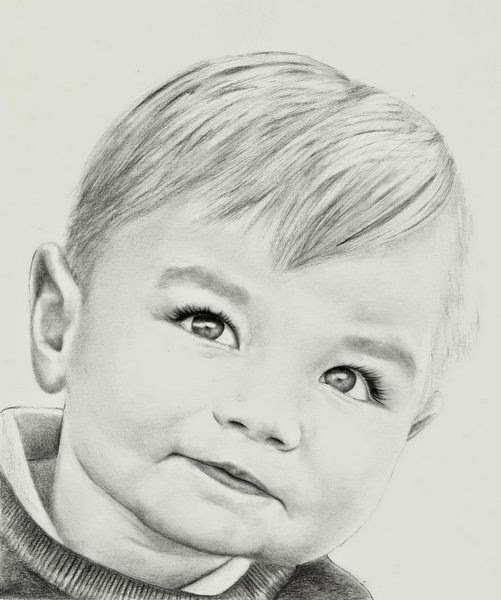 Each portrait is unique and is 100% hand­drawn in the United States. Their artists are exceptional ­and ensure the quality of each piece both through their artistic process, rigorous vetting, and meticulous attention to detail. PLUS, they customize their monogrammed packaging to the occasion and recipient! They include a note from the artist and custom monogrammed stationery from a print of your portrait (additional stationary can be ordered) and will happily help with your Save the Date, Thank you cards, or perhaps even a future baby announcement needs. They really have thought of it all! Best of all, they guarantee that customers are with their Grace Portraits experience. They ensure that the whole process from ordering your portrait to opening the gift is seamless and enjoyable. They hold your hand throughout the process and take a consultative approach, including helping you to select a photo; beautiful portraits start with beautiful photos! Customers get to see a scan of the drawing to make sure they love it and give us feedback before they package it up and deliver it to your door in 3­-4 weeks. Can you remember the last time you gave a gift that evoked such a strong emotional response that the recipient actually cried? More than half of their customers, including both husbands and wives, have cried tears of happiness upon receiving their Grace Portrait! It really is the perfect gift for any occasion: Memorial Day, Father’s Day, birthdays, weddings, anniversaries, the birth of the first grandchild in your family, your nephew’s graduation, etc. They can draw anything you’d like including couples, children, families, pets, locations, buildings, etc. and it will be a gift or purchase that will be cherished forever! You can purchase a Grace Portrait starting at $300 from the Grace Portrait website. And MAKE SURE to get a 20% discount by using the REVIEWSTEW promotion code on any orders placed before midnight on our website before Monday, May 25, 2015!! !